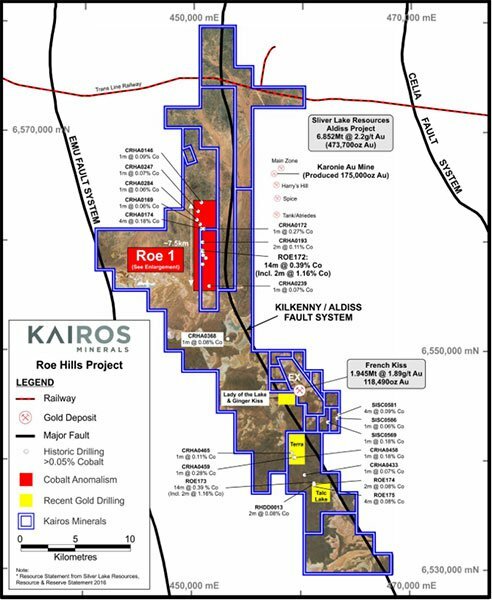 Following a recent review of historical data, Kairos Minerals (ASX: KAI) has informed the market that there is the potential for cobalt mineralisation at the Roe 1 prospect, as well as past intercepts from numerous prospects throughout the broader Roe Hills project area which is located 120 kilometres south-east of Kalgoorlie. Of course this is an early stage development for KAI, so investors should seek professional financial advice if looking to add this stock to their portfolio. Commenting on this development, KAI’s Managing Director, Mister Joshua Wellisch said, “While still at a very early stage, our preliminary data review has identified a substantial near term opportunity for delineating significant cobalt mineralisation within the Roe Hills region, which we will continue to assess over the coming months”. The following areas outlined in red highlight previously identified cobalt mineralisation. 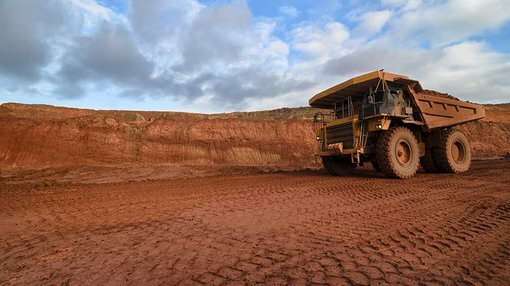 Management said mineralisation extends over a strike length of at least 330 metres with a width of 150 metres and thickness of more than 8 metres. The mineralisation remains open to the north, east and south. With cobalt prices tracking well over the last 12 months KAI has taken the decision to undertake additional fieldwork as a priority ahead of the next planned drilling program which will commence in April.